Comic-Con is everything you think it is! We go to Comic-Con every year (not the large one in San Diego but the local ones closer to home). This year, it was in Long Beach instead of the Anaheim Convention Center. Yes, there were a lot of fun, costumed people wandering around, and I’m sure there are just as many photos of them on the internet, but is one of my favorite snapshots of the day. 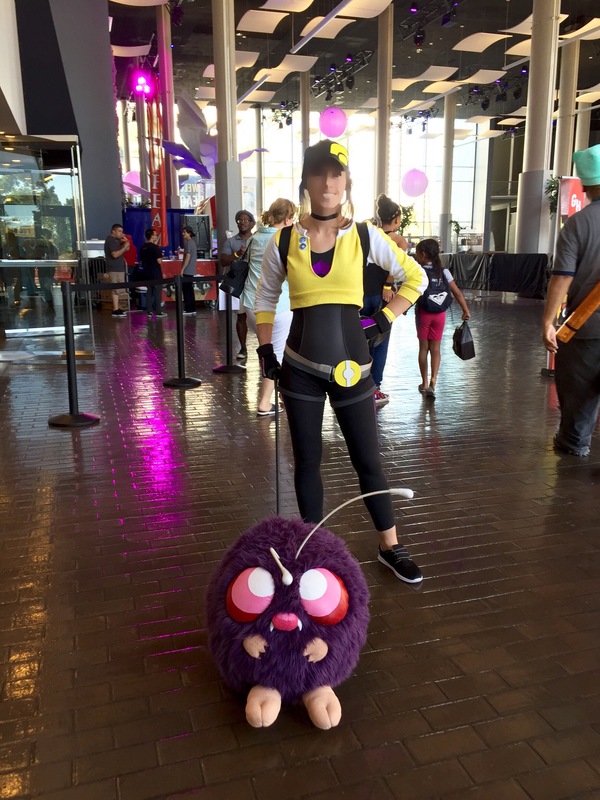 I thought she made a perfect Pokemon trainer and I want one of those cute Venonats! It actually rolled in front of her as she walked! In case you’ve noticed, I blurred out her face because I didn’t exactly ask her permission to post her picture to my website. Oh, and for those of you who are as old as I am, Sam Jones was at his own booth signing autographs. Who’s Sam Jones, you young’uns ask? “Flash, ayaya, savior of the universe!” Flash Gordon!! No, I didn’t take his picture, it was sadly quiet around his booth so I couldn’t muster up the guts to go up and take his photo. Watch “Ted”, the movie, because that is what he looks like now.